It turns out there is some truth in the old adage that your brain takes up to 20 minutes to actually register when your stomach is full. Researchers at the University of Rhode Island found that slower eaters are less likely to be overweight, and on average consume 10 per cent less calories than their speedy eating counterparts. This slower eating also brings with it the benefit of improved digestion. Simply apply your leisurely approach to life to your eating speed, and you’ll soon notice the pounds drop off as your portion sizes decrease. Junk food is the classic slacker fuel as it requires little to no effort to prepare. If you’re a self-professed lazy person and you’ve got junk food close to hand, it’s inevitable that you’ll choose it over cooking a nutritious meal. 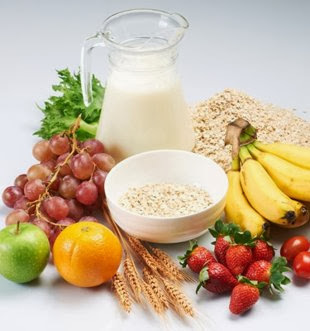 The solution is a simple one – remove all of the junk food from your house, and you’ll have no choice but to eat healthily. If you think you’ll be able to stay away from the rubbish food with will power alone, think again. Boston based scientist Dr David Ludwig discovered that people who regularly ate junk food displayed addiction-based brain patterns that matched those experienced by drug addicts. One of the main slacker excuses for avoiding fruit and vegetables is the time it takes to chop, peel and prepare them. Say hello to your new best friend; pre-chopped fruit and veg. Whilst more expensive, these time saving marvels are a godsend for lazy cooks, and will have you eating healthily in no time. They also make for a great snack for in the office, with precisely zero preparation time required. Throw a tub of pre-chopped fruit or veg into your bag before you leave, and you’ll be able to munch on it throughout the day without paying a visit to the sugar-filled office vending machine. 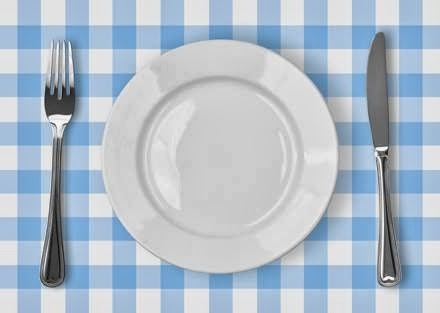 In 2011 the behavioural nutrition journal Appetite published the thrillingly titled article ‘The mathematical relationship between dishware size and portion size’. We won’t bore you with the maths, but suffice to say plates have gotten around 20 per cent bigger since the 1960s. That increase, according to the study, has meant bigger portions, which in turn has resulted in more calories consumed by the average person. The easiest effort free way of countering this is to buy a smaller plate. You’d be shocked at just how little food it actually takes to fill you up, and armed with your shrunken dishware you’ll gradually learn to control your portions without even trying. When you come home from work after a long day it’s tempting opt for a meal you can quickly throw in the microwave. But when you consider a University of Glasgow study concluded that ready meals are ‘nutritionally chaotic’, it becomes apparent that this is a lazy habit you need to get out of. Luckily, there is a way of enjoying ready meals when you’re on a diet. Making your own meals to freeze is a lot easier than you think, and you can easily make a week’s worth of food at the weekend. Make sure what you prepare is healthy and nutritious, and you’ll have a guilt free ready meal to come home to every day of the week. Even the laziest amongst you will have no trouble preparing a glass of water, and that could be all you need to do to kick start your diet. Something as simple as drinking two glasses of water before every meal could lead to a staggering 50 per cent increase in weight loss, according to a study conducted at Virginia Tech University. It’s thought this is because drinking water helps to fill your stomach, meaning you are less hungry when it comes to eating your meal. Obesity expert Stephen Cook, M.D. also states that drinking plenty of water is one of the safest proven weight loss methods out there, and suggests everyone should have a refillable water bottle to drink from throughout the day. The slackers amongst you are not going to like this, but it’s time to turn off the TV. At least while you’re eating that is. A study published in Psychological Science found that people who eat while mentally distracted are more likely to overeat. 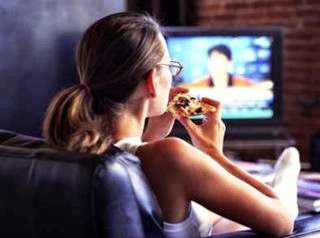 While your brain is distracted by watching television, your ability to taste will be dulled, which effectively means you’ll end up eating more food than you normally would. Instead of engaging your brain with TV, give your meal your full focus. This easy change will result in you eating less and losing weight.